You are currently browsing the tag archive for the ‘books I should have read’ tag. Great Expectations was the assigned book for my 10th grade English class. Every year, the high school English curriculum consisted of one canonical novel and one Shakespeare play — regular as running laps in the gym. Our teacher, Mrs. Francis, was about 50. She had the round eyes and cheeks of a goldfish — a pet one tries to pretend is fun and entertaining even though it isn’t. I remember once she wore a white polyester shirt with a 70s-bold, geometric print — angular slashes of red and brown blocks. She had a head full of tight gray curls kept in a round, meringue-shaped mass. I say this not to mock Mrs. Francis, but to acknowledge how years of teaching 10th grade English — a thankless task if ever there was one — may have worn her enthusiasm for the material down to a nub. For 10th grade, Romeo and Juliet was the Shakespeare of choice, and the class watched the Franco Zeffirelli film version. During the post-coital scene, when Romeo stood at the window, his buns bathed in golden sunshine, Mrs. Francis fumbled with the remote of the VCR, but quickly gave up. “Oh, well,” she said. And the next thing we knew, Juliet’s breasts flashed on screen. The class tittered. 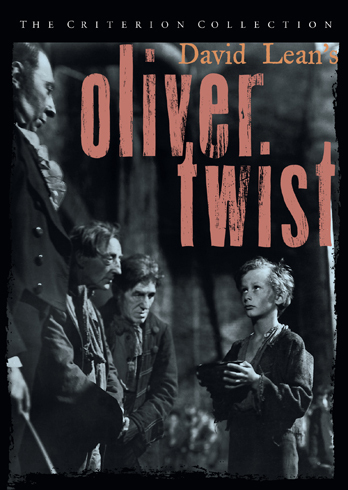 I dutifully read for about two weeks, but once Pip left for London, my attention flagged and waned. Oh, I know the novel is an insightful look into class mobility, but, dammit, I just couldn’t be bothered. I passed by getting daily updates from my friends, and briefly opened the book to read Ms. Haversham’s fiery death before putting it down again. 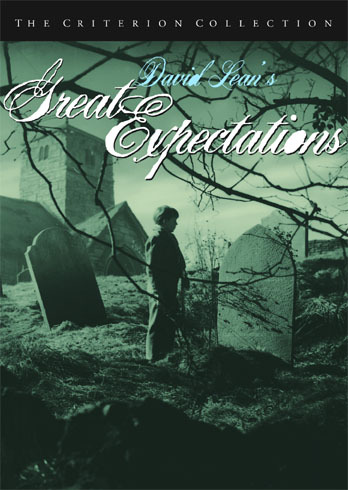 Dickens, I fear, will remain a literary blind spot for me, but I’m reminded that David Lean himself hadn’t read Great Expectations when he set out to make the film. Vindicated by liner notes! If nothing else, Great Expectations at least helped me solved an eternal mystery of cat food etymology: what the hell is a ‘Tender Vittle’? Early in the book, Magwitch demands “vittles” from Pip, which, according to the handy-dandy glossary, is a bastardization of ‘victuals.’ At the time, this was not a clarification, since we didn’t know what ‘victuals’ were either. As I’ve learned, ‘victual’ has a verb form too, which means ‘to feed,’ but no similar debased version (if I say I’m going to ‘vittle’ my cat, this sounds like I’m traveling to Germany to shave him). Ah, the transformation of language: an actual word falls out of favor and gets consigned to a footnote, while its spawn becomes famous for its semi-moist consistency and slight nutritional content.